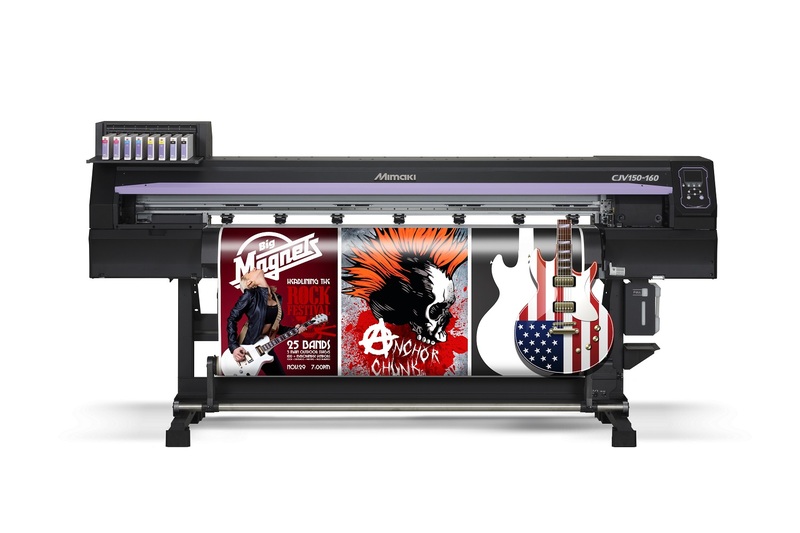 Mimaki CJV150 Series high-speed, large-format, solvent printer/cutter devices go beyond extraordinary to deliver a wide range of applications. Eco-Solvent inks in a variety of colors ­including silver, ­and advanced printing technologies means you can produce anything in a single unit that fits your workflow. Precision cutting capability gives you the ability to deliver custom and short-run items such as labels, T-shirt transfers or package prototypes. With the Mimaki CJV150 Series printers’ superb quality, color fidelity and flexibility ­ plus cutting capability ­ you’ll go beyond the expected to increase your business and deliver more than your customers can imagine.